After growing up in front of viewers on the long-running TLC docuseries Little People, Big World, Jeremy Roloff is saying goodbye. 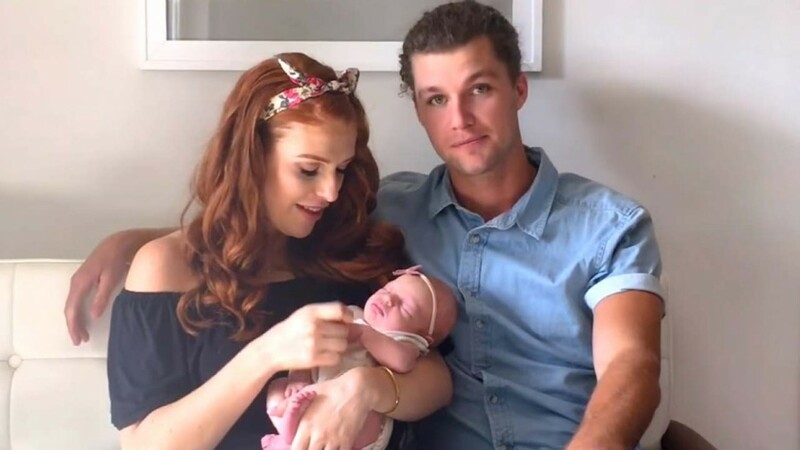 The 28-year-old reality star and his wife, longtime castmember Audrey Roloff, announced their departure from the show in a touching and appreciative message posted to Instagram on Tuesday. “After 14 years, over 300 episodes, and 17 seasons, the time has come,” Jeremy wrote, alongside a photo of himself and his wife sitting on a bale of hay in a wooden barn with their 9-month-old daughter, Ember Jean, sitting on Audrey’s lap. “We have a lot of exciting stuff in the works and are eager to continue the work that the Lord has called us to!” he wrote, referring to the marriage blog he and his wife started, Beating 50 Percent, that focuses on improving and helping faith-based covenant marriages. Little People, Big World premiered on TLC in 2006, when Jeremy was 16 years old. He went on to tie the knot with Audrey in 2014, and the pair welcomed their first child in September 2017. ← ‘Riverdale’ Starts Filming Season 3: Check Out This Pic of the Cooper Women!